What I am working on now... 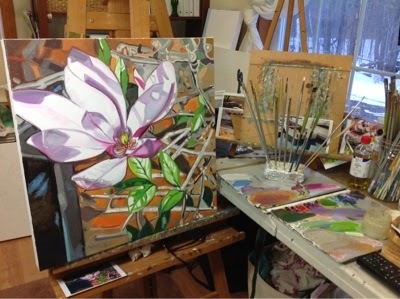 Please visit my website to see my finished work. 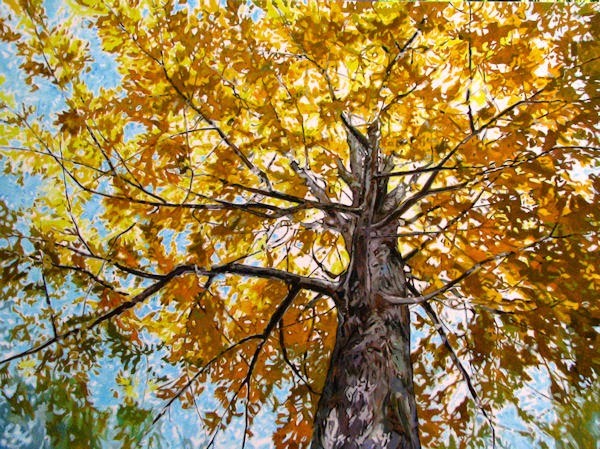 I am excited to get going on some of these tree paintings that are sketched out! Cafe This Way show is up! All my art is currently showing at "Cafe This Way" in Bar Harbor, Maine. I am very pleased at how this body of work came together. Now I am working on a series of prints, a new facebook page for my art and many commissions. 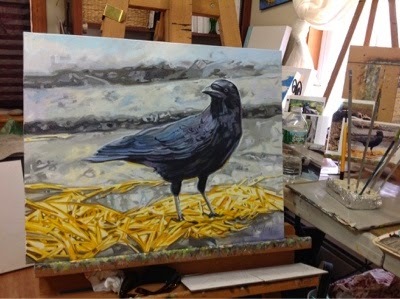 Many years ago, I was told that the Crow / Raven is among the smartest animals in the world. One of the very few that has the ability to use tools. Some cultures believe that a visit from a Raven is a visit from a departed loved one. Whatever the case may be, I have been paying attention and enjoying them very much! Yup, I think I have Spring fever. I have been working on this one for two days. 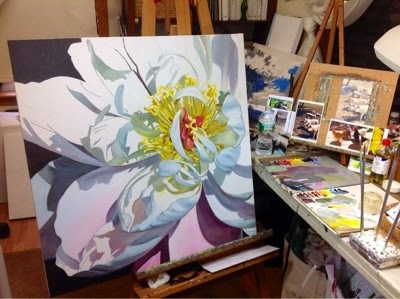 I think I can finish it by the end of the week. Magnolias are one of the first bits of color we get in the spring. I am very much looking forward to this sure sign of warmer weather! Don't they always look like they are smiling. 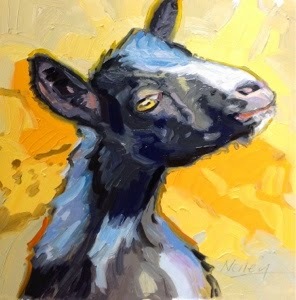 This painting is a 36x36. There is a lot going on, so it is taking a while. 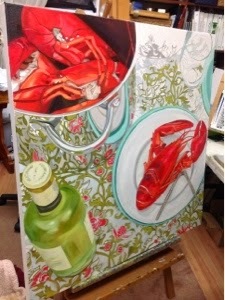 I am enjoying the puzzle-like process of painting the tablecloth and it's reflections. I wonder if lobsters are "beautiful" to everyone, or if it is just to me and my fellow New Englanders. 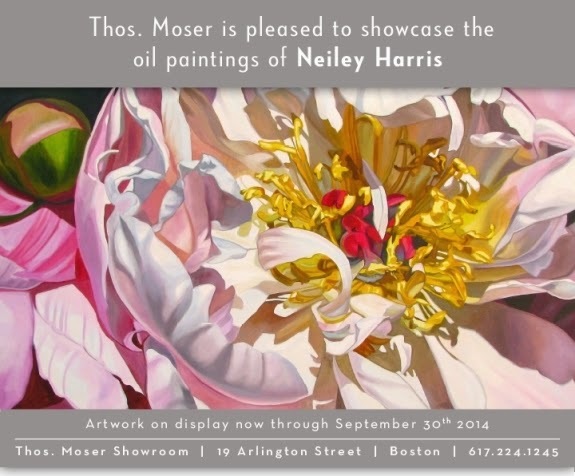 I have a solo show at the Thomas Moser showroom in Boston! Now through the end of September. 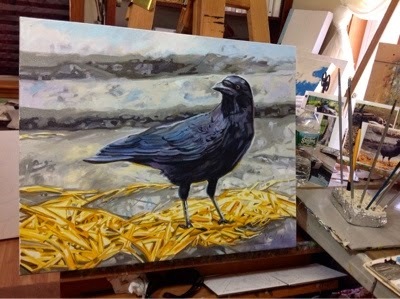 This is one of the new paintings for that show "Gold Country" 36x48 oil on canvas. It has been a busy year for me. My website was just updated with all the new work. Check it out and let me know what you think! 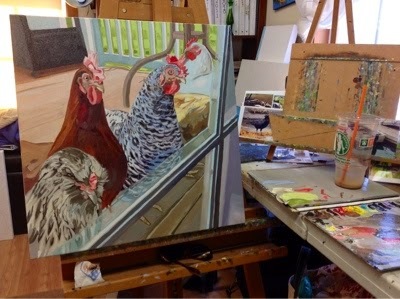 All paintings are posted on the website when they are finished. 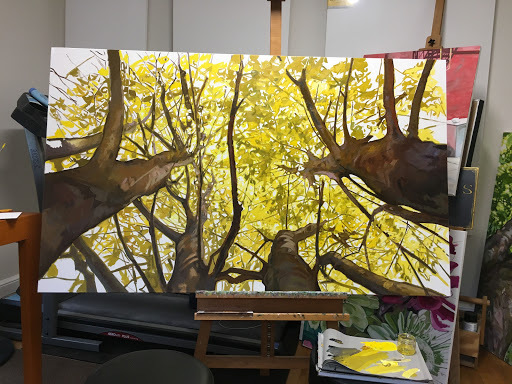 Because most of the paintings I paint are a bit larger than what I can finish in one day, some are posted in an unfinished state so you can see what I am working on.